Fall 2014 will see Chicago continue to produce some of the most exciting theater in the country. Offerings from the city’s more than 200 producing theaters includes a range of special fall programming, featuring everything from the latest musicals to highly anticipated world premieres. 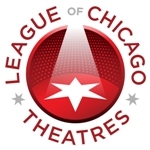 For a comprehensive list of Chicago productions including a Fall Theatre Guide, visit the League of Chicago website, www.chicagoplays.com. Discounted tickets are available at www.hottix.org or at the three Hot Tix half-price ticket locations: across from the Chicago Cultural Center at Expo72 (72 E. Randolph); in the Water Works Visitor Information Center (163 E. Pearson); and the newest location atBlock Thirty Seven, Shops at 108 N. State. Hot Tix offers half-price tickets to more than 200 Chicago area theatres, full price tickets to all Ticketmaster events including concerts and sports, and Play Money gift certificates. Victory Gardens Theater premieres Rest by Samuel D. Hunter, a tender and heartbreakingly funny play about life’s unexpected beginnings and endings, September 12 – October 12, 2014. The Midwest premiere of Neil LaBute’s Reasons to Be Happy runs at Profiles Theatre at The Main Stage. Directed by Darrell W. Cox, through October 12, 2014. Goodman Theatre brings back Noah Haidle’s hit new work Smokefall, September 20 – October 26, 2014. Court Theatre co-produced with American Blues Theater premieres Richard Wright’s iconic novel Native Son, September 11 – October 12, 2014. Isaac’s Eye, a new work by Lucas Hnath reimagines the world of a young Isaac Newton plays atWriters Theatre at Books on Vernon, September 2 – December 7, 2014. The Midwest premiere of Hnath’s Death Tax plays at Lookingglass, September 2-October 12, and features Tony Award winner Deanna Dunagan. The world premiere musical Amazing Grace, based on the awe-inspiring true story, plays at the Bank of America Theatre, October 9 – November 2, 2014. The hit modern musical Avenue Q continues at The Mercury Theater, 3745 N. Southport Ave, through October 26, 2014. Black Ensemble Theatre brings back At Last: A Tribute to Etta James, featuring 15 of Etta James’ biggest hits, October 24 – December 28, 2014. NightBlue Performing Arts Company presents Clemente: The Legend of 21, a heartfelt musical about the powerful tale of struggle and triumph of one of baseball’s greatest players, through September 14, 2014. Steppenwolf Theatre Company presents a compelling new drama The Night Alive by Conor McPherson, directed by Henry Wishcamper, September 18 – November 16, 2014. The Hypocrites epic cycle -play adaptation of the 32 surviving Greek tragedies runs at The Den Theatre, through October 5, 2014. Shakespeare’s King Lear, opens at Chicago Shakespeare Theater on Navy Pier. Directed by Barbara Gaines and featuring Chicago favorite Larry Yando in the title role, September 9 – November 9, 2014. My Name is Asher Lev, adapted by Aaron Posner from the novel by Chaim Potok, premieres atTimeLine Theatre Company at Stage 773, 1225 W. Belmont Ave, through October 18, 2014. The classic Arthur Miller drama All My Sons performs at Raven Theatre in Edgewater. September 16 –November 15, 2014.